This badge was issued to GABRIEL PADILLA on 21 Nov 2018. This badge earner understands the value of IBM POWER9 servers. They can competently perform a discovery with the client to define business and technical requirements. They are able to articulate to the client the value in a way that makes the IBM offering capabilities compelling. Must be an IBM employee or IBM Business Partner employee. 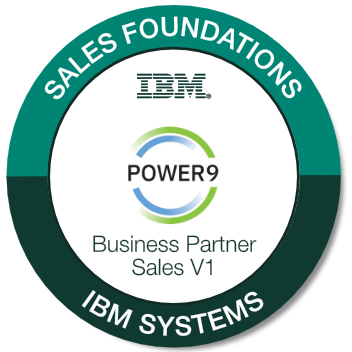 Business Partners and IBMers have completed the IBM POWER9 Level 1 assessment test, as well as one of the POWER9 Level 2 assessment tests as outlined on the IBM Systems Badging website.